He made me feel more lonely than ever before; how simple your sorry’s are; how pitiful your apologies ring compared to the emotional scars you left between my thighs. You chose to leer at me during my lowest, weakest point, while you seduced another sad, lonely girl. I hate that i’m still attracted to you; i hate that i can’t entirely hate you; i hate that i know you’re just a kid and you didn’t mean to hurt me; i hate that i’m willing to give you a chance but you won’t seem to give me one. 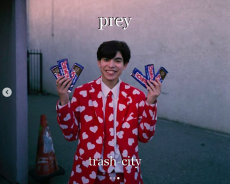 © Copyright 2019 trash-city. All rights reserved.